1-2-3-Go! 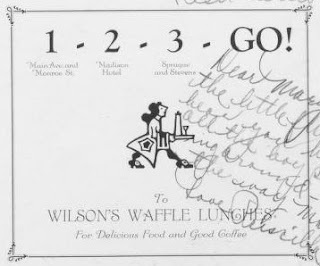 To Wilson's Waffle Lunches. For Delicious Food and Good Coffee. 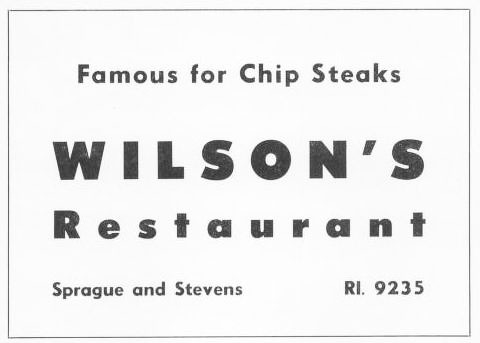 That different "something" about Wilson Meals. 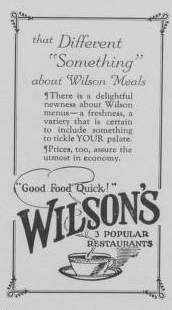 There is a delightful rawness about Wilson menus - a freshness, a variety that is certain to include something to tickle YOUR palate. Prices, too, assure the utmost in economy. Good Food Quick! 3 popular restaurants.